There are select plants to help us Minnesota gardeners stretch out our season. At Waldoch Farm we grow a variety of containers especially for the spring and fall. 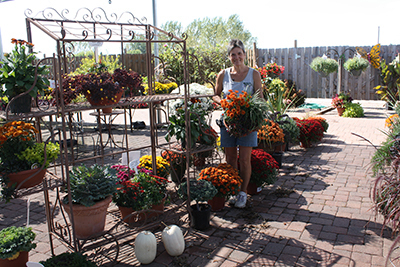 By using cold tolerant plants, you are able to get a seasonal extension with plants that can handle those cool nights. Pansies are great for adding early color to your home. These cold tolerant plants are not bothered by the frosty mornings in spring, and have been known to take a hard freeze and still keep bringing us the color in the spring when we need it the most. There are many unique Pansy Patio containers and baskets to choose from during the weeks of early spring. Kale can be planted early spring and again late summer to have some off season structure. Kale provides additional seasonal interest and even a tasty treat. 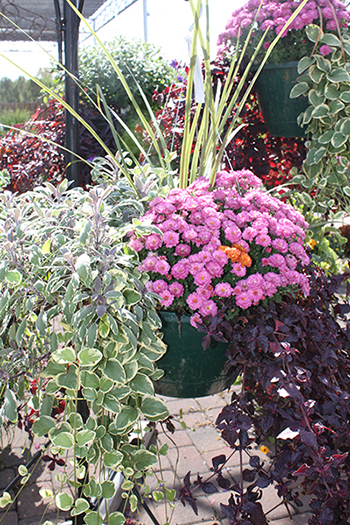 Fall decoration mums can breathe life back into tired containers or holes in the garden. In Minnesota we can enjoy a much longer growing season with the incorporation of mums, herbs, grasses and flowering kale. They are very low maintenance with much reward.